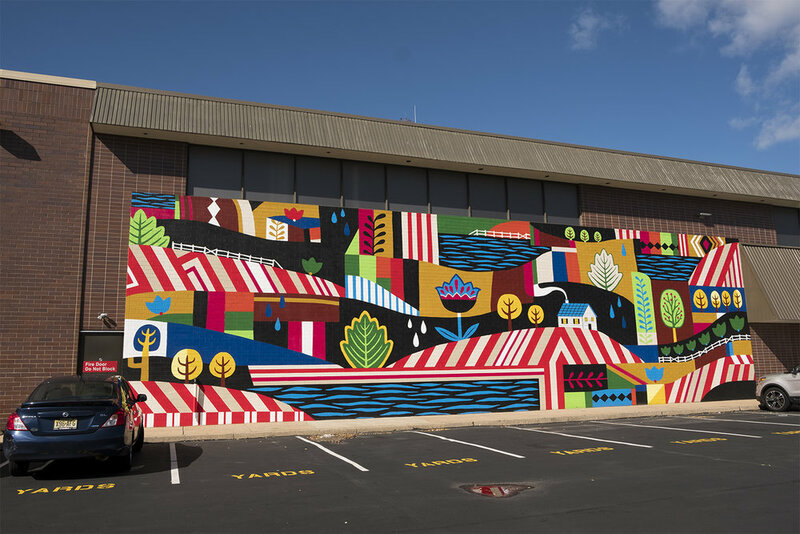 Spring Garden by Gina Triplett and Matt Curtius is located at 5th and Spring Garden Streets. 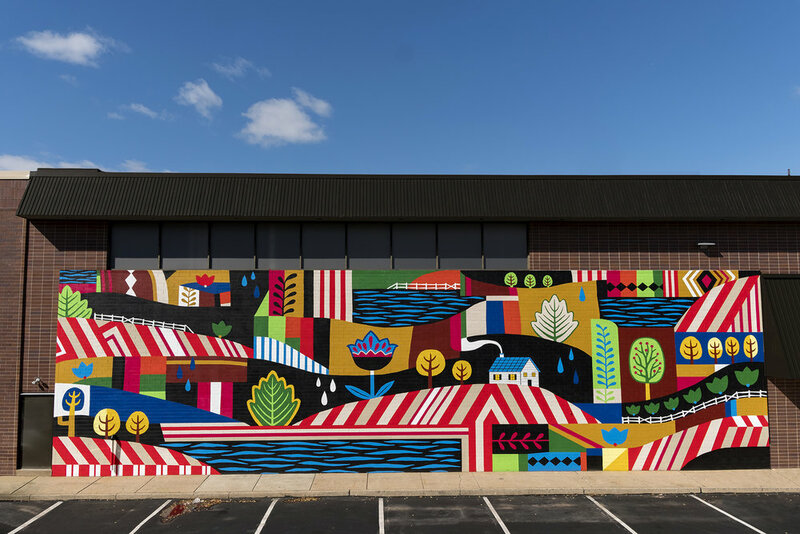 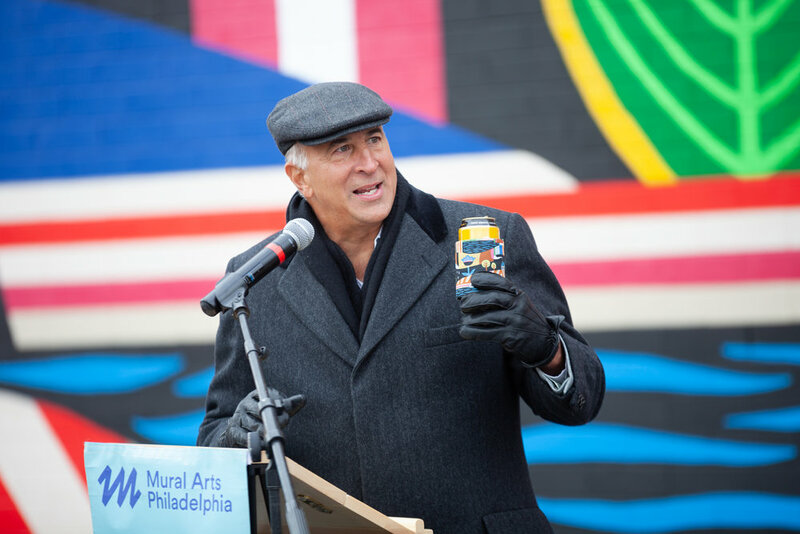 The mural uses the language of geometric abstraction, and the vernacular of folk art, to illustrate the intersection, convergence, and overlap of a past and present Philadelphia. 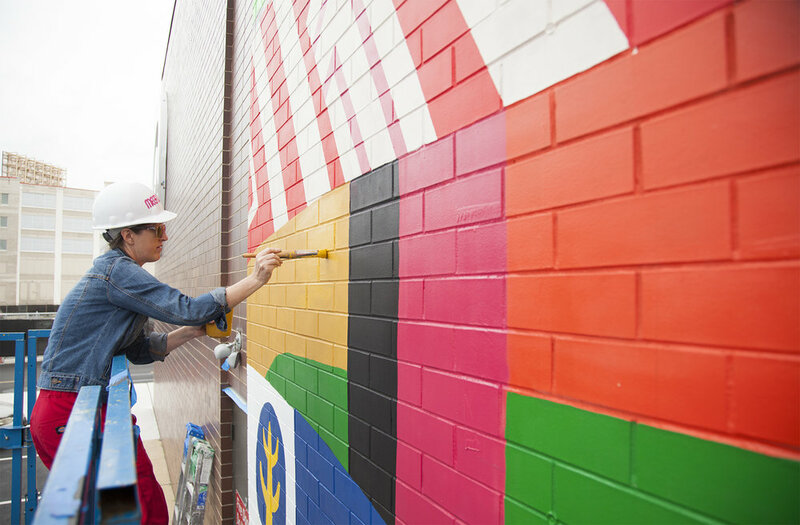 How much does a city’s history shape its future? 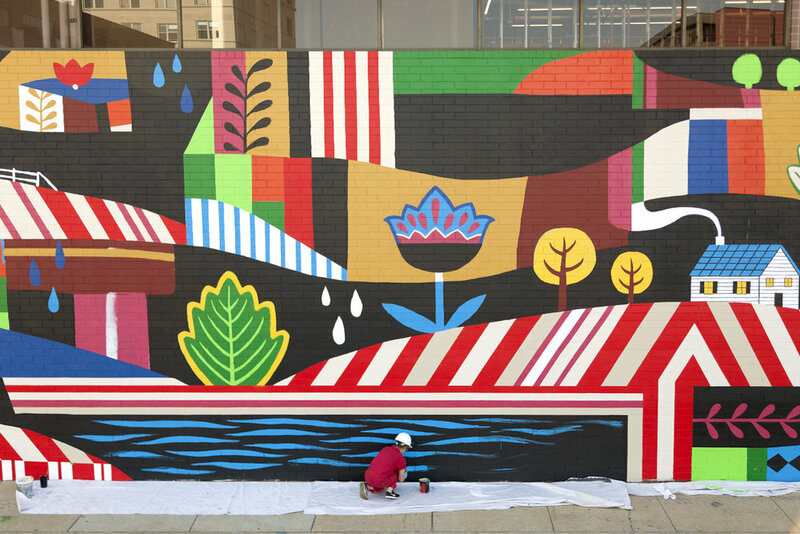 In Philadelphia, 18th century buildings overlap new construction and the confluence of the Schuylkill and Delaware rivers shape our city’s topography.Spring Garden by Gina Triplett and Matt Curtius is located at 5th and Spring Garden Streets. 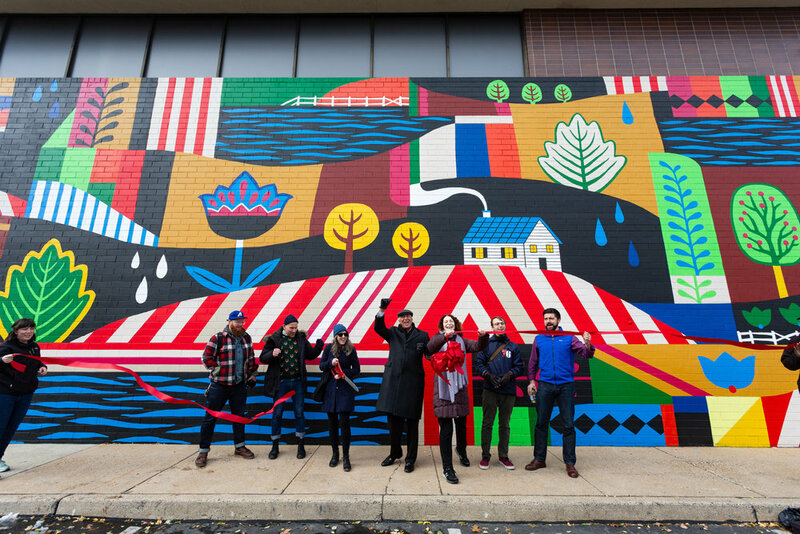 The mural uses the language of geometric abstraction, and the vernacular of folk art, to illustrate the intersection, convergence, and overlap of a past and present Philadelphia.